This morning, like most weekend mornings, I’m going to wake up to the sound of my son pushing the door to our room open, the squeaky hinges announcing his arrival. I’ll open my eyes and watch him toss his green and white blankets and a few of his stuffed animals on to the bed, climb over me and lie down in between my wife and I. He’ll put his fingers in his mouth, close his eyes, and snuggle up next to us, the sound of him sucking his fingers right next to my ear keeping me from returning to sleep. I don’t mind, though. This is how most weekends go, and I wouldn’t want it any other way. It’s in these early morning hours, as I lie awake in bed next to my family, that I sometimes think big thoughts. When I was a new father, still overwhelmed with idea of being responsible for another life in this world, I would have grand thoughts about the type of world my son would live in. Would there be enough food and water for everyone? Should I be recycling more? What about clean air? Should I get a more fuel-efficient car? Should I bike to work? As he got older, and as I settled in on the idea that he’s more durable than I had assumed children would be, those early morning thoughts turned to more hopeful things. What number would he wear on his jersey in the NHL? How old would he be the first time he saw the earth from space? How often would they let me visit him in the White House? For the past two years, after my son was diagnosed with epilepsy, I started asking different questions. These questions were shaped by our experiences struggling to control his seizures, managing his medicine and the ketogenic diet, and trying to normalize his life as much as possible. Would he ever be seizure free? Will he be able to live on his own one day? How can I best prepare him for the challenges ahead? How can I teach him to love himself and believe in himself against the stigma that comes with having epilepsy? The last question is one that I’ve been thinking about more lately. He’s only in kindergarten, but there have already been incidents where he has been made to feel different because he has epilepsy. Questions about why he misses so much school and leaves early, or the snickers from classmates that come from his bizarre ketogenic lunch that sometimes includes taking a shot of oil, I can see him starting to pull away. He’ll sit by himself, or he’ll tell us he doesn’t want to bring a lunch to school. This is already happening, and he’s only in kindergarten. 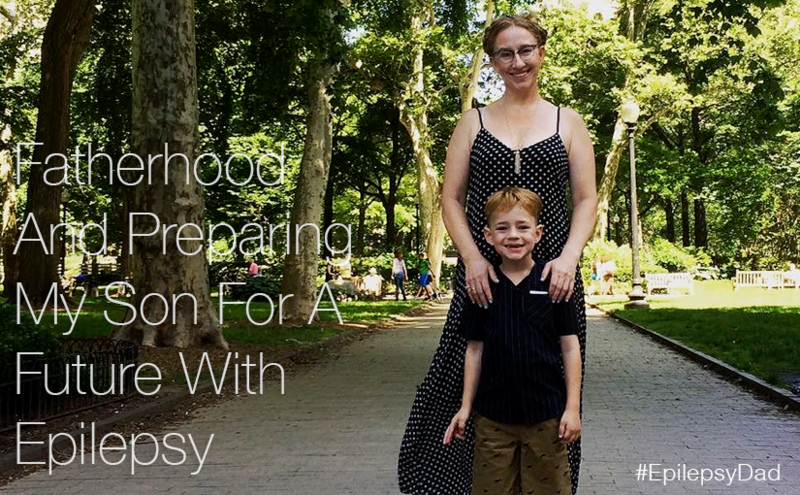 The more involved I become with the epilepsy community, the more I get a glimpse of the challenges ahead for my son. I read the callous, insensitive tweets from the uninformed, misguided people who post messages about “being glad that they don’t have epilepsy” or how a video or light show “almost gave them epilepsy”. I read the messages of sadness and despair from those living with epilepsy and the stories of discrimination, and about how epilepsy “isn’t being a real thing” because there aren’t any visible signs. There are many mornings when I’m lying next to my son and I get scared. I don’t want that world to squash the light inside the little boy who is so brave and who cares so much for those around him and who loves and who dreams incredible things. 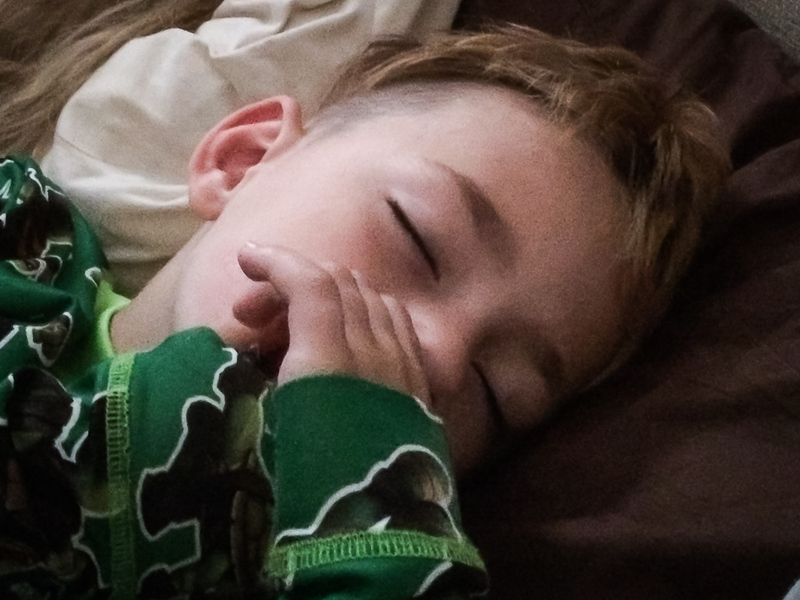 I’m worried that I am not equipped to help my son navigate that world, and that I will fail him…fail at the greatest thing that I will ever do, and that is being a dad. On those days, when I seem to need it most, he will roll over and puts his arm around me. I instantly feel better. I remember that the most important thing I can do for my son is to love him unconditionally, which I do in abundance. I think about that community where I have seen so much sadness and I remember the overwhelming feelings of support and hope that are much more common. They share their stories, many of whom you may read as part of this blog relay, and I, too, am hopeful and inspired to lend my voice to the choir…to sing with them the stories of what it means to be the dad of a child with epilepsy, the struggle, the joy, and the lessons that I learn along the way. Maybe it will be this morning, when I won’t be awoken too early by the sound of a creaking door, or him sucking his fingers. Maybe I’ll feel confident that I’m doing my part by advocating for my son, and I’ll think about how far we have come, and that I’m leading with love and helping build a foundation in him that will help him face the challenges that will be ahead. Maybe this morning I will be able to fall back asleep, only to be awoken a few hours later by the four most magic words that will remind me how lucky I am and how hard I will fight. NEXT UP: Be sure to check out the next post tomorrow by Whitney Petit at Changing Focus: Epilepsy Edition for more on Epilepsy Awareness. For the full schedule of bloggers visit livingwellwithepilepsy.com. And don’t miss your chance to connect with bloggers on the #LivingWellChat on June 30 at 7PM ET.